Internet of Things (IoT) is a very hot topic now a days. But what exactly is IoT? IoT is a concept where everyday physical objects will be connected to internet. This includes your mobile, fridge, coffee maker even your house lights will be connected to internet & you can control it from anywhere in the world. Now isn't that great!!! 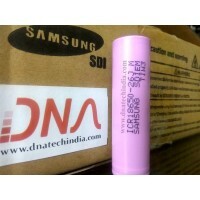 DNA Technology is proud to present its range of IoT modules. We have various IoT modules ranging from Ethernet Modules, Wifi Modules to GPRS Modules. These modules make it very easy for any of your microcontroller based circuit to be connected to the internet without much or no changes to your hardware. ESP8266 WIFI Shield ESP8266-Based Serial WiFi Shield for Arduino is designed using ESP12-E, ESP..
ESP8266-02 WiFi Serial Transceiver ModuleThis is WiFi serial transceiver module, based on ESP8266-ES..
ESP8266-05 Wi-Fi Wireless Transceiver ModuleESP8266 Serial WiFi Module (ESP-05) is a new player in t..
ESP8266-06 WiFi Serial Transceiver ModuleESP8266 UART is an ultra-low power consumption - WiFi pass-..
ESP8266-08 WiFi Serial Transceiver ModuleESP8266 UART is an ultra-low power consumption - WiFi passt..
ESP-M1 ESP8285 Wifi ModuleESP8285 M1 IoT Module with wifi interfaceBasically an ESP8285 module is an..
ESP-M2 ESP8285 Wifi ModuleESP8285 M2 IoT Module with wifi interfaceBasically an ESP8285 module is an..
ESP8285 M3 WiFi based IoT ModuleESP8285 M3 IoT Module with Wifi InterfaceBasically an ESP8285 module..
ESP8285 M4 wireless WiFi based IoT Module ESP8285 M4 wifi based IoT ModuleBasically an ESP8285 ..
Ethernet shield W5100ETHERNET SHIELD WIZNET W5100 WITH Micro SD Card SlotThis Arduino-Compatible Eth..
L293D Motor Driven Expansion Board for Node Mcu Lua Wifi BoardThis is the first motor-driven expansi..
NodeMCU with cp2102 Wifi BoardThe NodeMCU with cp2102 Wifi Board is an all-in-one microcontroller + ..
NodeMCU IoT Module (ch340 IC Based)NodeMCU is a IoT Module based on ESP8266 wifi Module. NodeMCU use..
NodeMCU LoLin V3 Base BoardNodeMCU LoLin V3 Base Board for testing and development ESP8266 / E..
Oblu an IoT Based Wearable Motion SensorOblu is a low cost Wearable Device which can be used for Int..
Raspberry Pi 3BRaspberry Pi 3 is a third generation RPi with some major upgradesA 1.2 GHz 64 bit qua..
Raspberry Pi Wireless KeyboardThis is an ultra slim mini wireless keyboard with central touchpad. Th..
RASPBERRY PI ZEROWe have finally got our hands on Raspberry Pi Zero. Grab now till it lasts. Th..
Raspberry Pi Zero WAfter Huge Success of Pi Zero V1.3, Raspberry Pi has launched a new Upgraded vers..
T-Cobbler Plus for Raspberry Pi 2 and 3GPIO Extension Board for Raspberry Pi 3B and Raspberry Pi 3B ..